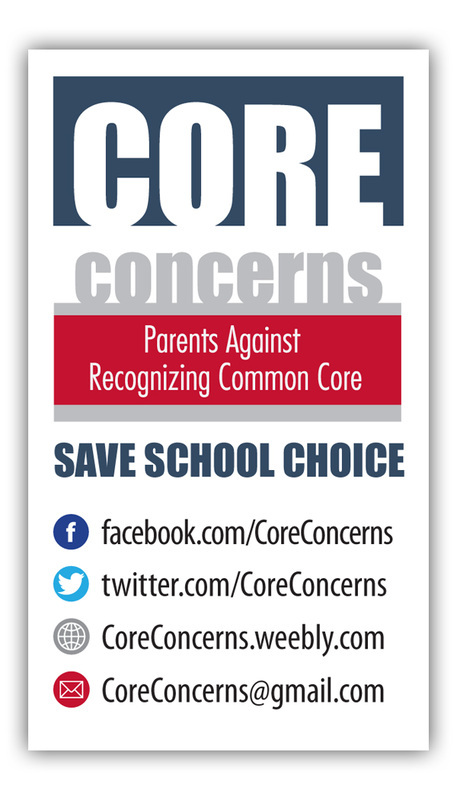 Core Concerns - Materials to Share at Group Meetings, PTA, ETC. Materials to Share at Group Meetings, PTA, etc. This paper demonstrates that other claims are doubtful as well, and that any state evaluating the Standards should consider the following problems: (1) quality and content of the Standards; (2) legality of the federal promotion of the Standards and assessments, and the usurpation of state autonomy; (3) governance of the Standards; (4) fiscal cost to the states; and (5) student and family privacy rights. Most states have traded their education standards for Common Core national standards. State leaders were told Common Core would not infringe on state and local control, would establish high academic quality, and would improve student performance. Unfortunately, none of this became true when the standards were actually written. Download to read full document. Who developed Common Core’s standards? What was the real purpose of the Validation Committee? 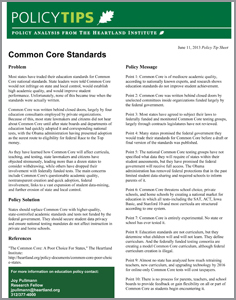 What are the chief deficiencies of Common Core’s standards? What are the major flaws in Common Core’s English language arts standards? Download flyer and contact cards to share this resource with friends, family, and acquaintances, that have interest in education.